Our worship is deepened and amplified by the luminous beauty of the sanctuary where we offer ourselves to God as a congregation. Its modified Gothic style reflects the great Christian cathedrals with characteristic pointed stone arch, high vault, and sanctuary floor in the shape of a cross. 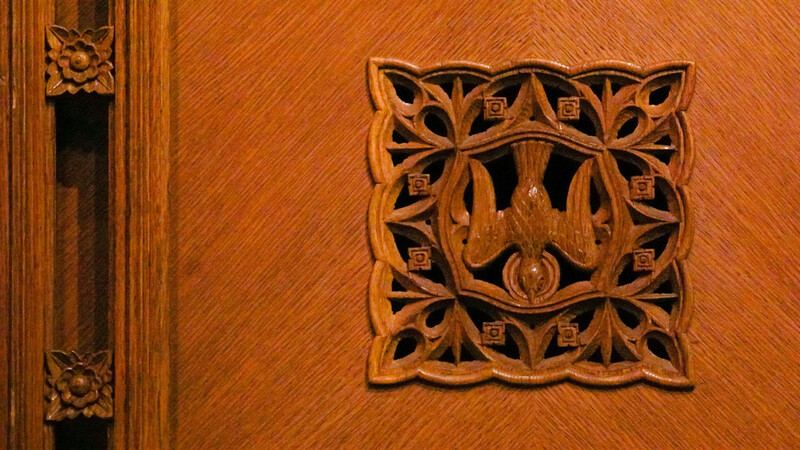 The cruciform shape reminds all who enter to glorify the risen Christ. 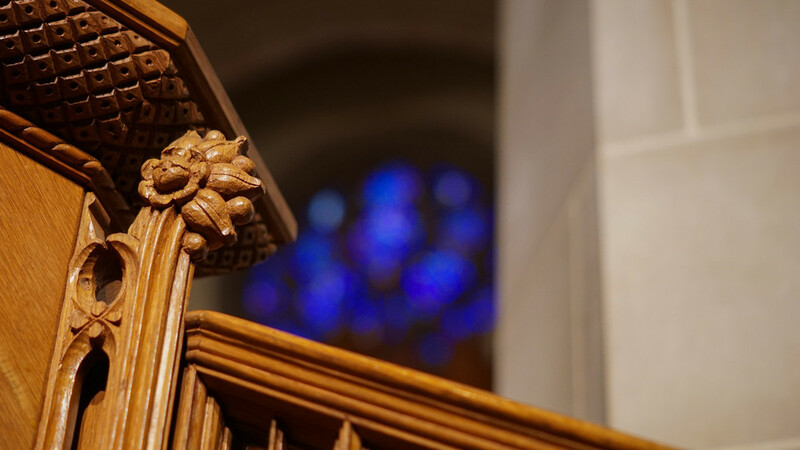 The many universal Christian symbols in stone, wood, and fabric serve as constant reminders of the centuries of Christian faith that have preceded us. The inspiring brilliant colors of the stained glass windows remind us all of the beauty of the Lord we worship. The sanctuary walls hold three series of windows. The tall nave windows depict 64 major events in the life of Christ, from Old Testament promise to the ascension of Christ after his resurrection. The smaller aisle and transept windows present 28 historic Baptist figures. The clerestory windows nearest the ceiling portray 20 Christians of various communions, lands, and eras. A symbolic Resurrection rose window is in the chancel, and the large Redemption window above the narthex pictorially tells the story of God's redemptive work through Christ. Rich in detail and varied hue, the windows offer new rewards with each viewing. They are the creative work of the noted Willet Studio of Philadelphia. 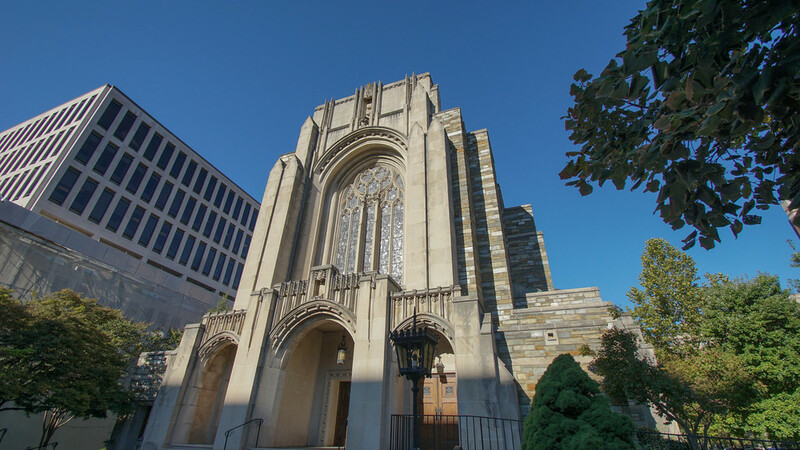 When interpreting the sanctuary architecture in a sermon, former pastor Edward H. Pruden declared, "Our congregation chose this particular kind of building because we wanted our house of worship to exercise a ministry of its own." The church's first meeting in the sanctuary was held on Christmas Day 1955.